In May 2013, the White House released a revised Technical Support Document (TSD) with a new estimate of the “social cost of carbon” (SCC), to be used by various agencies when evaluating the benefits of emissions regulations, energy efficiency standards, renewable fuel mandates, technology subsidies, and other policies intended to mitigate global warming. Federal agencies immediately began using the revised SCC to make regulatory decisions, prompting objections from the public and requests for an opportunity to comment on the SCC and the underlying models and analyses. On November 1, 2013, the White House released updated values for the SCC, and on November 26 invited the public to comment. · First, we endorsed the administration’s effort to arrive at a uniform SCC, to help ensure at least internal consistency across a portfolio of policies directed at reducing carbon emissions. · Second, we applauded the Office of Management and Budget’s (OMB’s) effort to seek public comment on the TSD, and urged the administration to follow through with scientific peer review and with other measures to ensure transparency in regulatory decisions. · Third, we cautioned that the task of estimating the SCC was undertaken with an apparent bias that needs to be corrected before it can be taken as objective. · Finally, we pointed out that the logical next step is not, contrary to the subtitle of the TSD, for regulatory agencies to incorporate the SCC into Regulatory Impact Analyses (RIAs). Rather, the next step is to seek an international consensus on the value of the SCC and to negotiate a coordinated global policy response, which is the only way that the theoretical benefits of government actions to reduce global carbon emissions can be translated into actual results. President Obama has publicly committed to addressing climate change through an ambitious regulatory agenda, to be undertaken by multiple federal agencies, using a wide range of existing statutory authorities. While the merits of this climate agenda as a whole are debatable, the use of a unified SCC to impose some order on its components is sensible. The SCC summarizes in a single number (more properly, a range of numbers) a vast array of information derived from scientific and economic research and modeling. All of this information is subject to disagreement, and the relationships embedded in the calculation of the SCC are extraordinarily complex, presenting a daunting challenge to anyone trying to arrive at a consensus figure. Nonetheless, it is worthwhile to try. The SCC may appear to be a gross oversimplification of a complex underlying reality; but, in fact, it is the right simplification to undertake. This is because any damage that greenhouse gas emissions may inflict on global climate systems is independent of the source of the emissions. To the climate, all CO2 molecules look the same. This simple fact does not tell us whether it makes sense to regulate energy efficiency or subsidize certain technologies, but it does tell us that any cost-effective portfolio of climate policies will have a single implicit marginal cost of carbon. For this reason, we commend the efforts of the interagency working group to reach agreement on the value of the SCC. A common SCC should be used to evaluate climate-related regulatory mandates, grant programs, and tax policies. Certainly it makes more sense for policymakers to focus on the SCC than to try to figure out the “right” level of greenhouse gas (GHG) emissions from every source category, or the “right” temperature of the earth, or the “right” combination of fuels and technologies to pursue as a policy goal. Indeed, past efforts to develop an international climate policy framework were doomed, in part, by their focus on negotiating the level of emissions each country would be allowed—an unproductive diplomatic zero-sum game. An international conversation about the marginal cost of carbon emissions might instead have led to some useful policy outcomes. Similarly, the domestic Renewable Fuels Standard attempts to set, in statute and regulation, the required level of various renewable transportation fuels. The program has degenerated into a rent-seeking contest for subsidies, with little or no (or negative) benefit to the environment.1 The marginal cost of GHG emissions—the SCC—may be very difficult to calculate, but is a far more promising path to pursue than the various attempts to guess at optimal quantities of emissions or technologies. The influential nature of the SCC value for a variety of future policies, as well as the difficulties and uncertainties of calculating the SCC, demand conscientious attention—including public comment and peer review—to the task of getting it right. The May 2013 SCC revision of the SCC, for example, raised the estimated social cost of U.S. CO2 emissions by about $100 billion per year. If the U.S. were using a carbon tax to address climate change, this would amount to a trillion-dollar tax increase over the next decade. Instead, this trillion dollars will be placed on the scale of benefit-cost analysis, weighing in favor of expanded regulation by the DOE, the DOT, the EPA, and all of the other federal agencies engaged directly or indirectly in climate policy. The implications for the economy are troubling, particularly since—assuming they are real—few, if any, of those climate benefits will accrue to the U.S. The process of scientific inquiry revels in debate, discussion, and discourse. Public comment and peer review of how the government selected, weighed, and combined the integrated assessment climate models, what those models mean, and the appropriateness of the various assumptions and inferences made to deal with economic and scientific uncertainty will not only add credibility to future government climate policies, but encourage advances in scientific understanding of these complex issues. The use of a transparent process, coupled with the selection of qualified and independent peer reviewers, should improve the quality of government science while promoting public confidence in the integrity of the government’s scientific products. These assessments include, but are not limited to, state-of-science reports; technology assessments; weight-of-evidence analyses; meta-analyses; health, safety, or ecological risk assessments; toxicological characterizations of substances; integrated assessment models; hazard determinations; or exposure assessments. Such assessments often draw upon knowledge from multiple disciplines. Typically, the data and models used in scientific assessments have already been subject to some form of peer review. A scientific assessment is considered “highly influential” if the agency or the OIRA Administrator determines that the dissemination could have a potential impact of more than $500 million in any one year on either the public or private sector or that the dissemination is novel, controversial, or precedent-setting, or has significant interagency interest. One of the ways information can exert economic impact is through the costs or benefits of a regulation based on the disseminated information. The qualitative aspect of this definition may be most useful in cases where it is difficult for an agency to predict the potential economic effect of dissemination. In the context of this Bulletin, it may be either the approach used in the assessment or the interpretation of the information itself that is novel or precedent-setting. Peer review can be valuable in establishing the bounds of the scientific debate when methods or interpretations are a source of controversy among interested parties. The problem of integrating climate forecasts and economic forecasts in order to estimate a net social cost of carbon is extraordinarily complex, and requires careful judgment. Other informed observers have expressed serious misgivings about the current state of the art and about the particular Integrated Assessment Models (IAMs) used in the TSD. We do not want to argue that the task is hopeless. There is, however, one crucial ingredient that appears to be lacking in the current effort: a balanced, good faith inquiry, without a preconceived outcome or directional bias. For example, the choice of discount rates in the TSD does not conform to the standard guidance issued by OMB,11 and is biased in the direction of low discount rates. Without going through all of the arguments bearing on the choice of discount rates, we will simply note that the choices at the lower end tend not to be grounded in empirical observations of consumer preferences, but rather in a prescriptive notion of what consumers ought to want. As one early participant in the TSD process observed, “the prescriptive approach reflects the normative judgments of the decisionmaker.”12 As such, it cannot be characterized as a true representation of public welfare as benefit-cost analysis traditionally defines it. If the Administration’s intent is to issue a prescriptive SCC, it should be labeled as such. Moreover, it would be irresponsible to produce a prescriptive SCC, derived from the preferences of agency decisionmakers, without also producing for comparison an empirical SCC derived from observations of consumers’ actual revealed preferences. Another illustration of bias in the development of the TSD is its explicitly one-sided line of enquiry: a focus only on anthropogenic effects, and not on non-anthropogenic climate variability; only on warming, and not on cooling; only on warm-side catastrophes, and not on cold side-catastrophes; only on the 95th percentile outcomes, and not on the 5th percentile. While a similar bias is pervasive in the government-sponsored scientific literature about climate change, one would expect an economic analysis—particularly one aimed at calculating the expected value of a highly uncertain metric—to take greater pains to adopt an unbiased perspective. Consider that, while an extra ton of carbon emissions is likely to mean that the earth’s climate will be warmer in the future than it would otherwise be, that does not necessarily mean that the climate will be warmer than it is today. We know that, over long periods of time, absent any anthropogenic effect, the earth will almost certainly cool. This effect is not small and it is not seriously in doubt. Glacial advances have happened repeatedly in the past; and, absent anthropogenic warming, they will happen again, with catastrophic consequences. Absent warming, we know that glaciers will cover New York City again one day. Moreover, the effects of the glacial advance will not be limited to coastlines; we will likely lose Chicago, too, and most of Canada. We know from the historical record that such events also produce mass species extinctions by a variety of mechanisms. We cannot predict the timing of a glacial advance accurately, but even a simple regression-towards-the-mean analysis tells us that catastrophic natural cooling scenarios are not so improbable that they can safely be neglected. Moreover, to the extent we think the SCC should “account for extreme scenarios,”13 the cooling catastrophes become more important. To the extent we think long-term effects deserve greater weight (i.e., very low discount rates), cooling becomes a greater concern. To the extent we look for evidence of climate “tipping points” that are highly disruptive, the tipping point that triggers glacial advance cannot be ignored. If we take an honest look at the 5th percentile of climate outcomes, as well as the 95th, it becomes clear that cooling scenarios need attention. The TSD’s examination of only one tail of the climate probability distribution displays a bias that could lead to serious policy mistakes. While the SCC TSD purports to provide guidance to federal agencies for their use in RIAs, its use for that purpose would, at this point, be a mistake. The Interagency Working Group chose to calculate a global SCC, which purports to represent the global benefits of a global reduction in greenhouse gas emissions. Even if we accept that global benefits are the right ones to count (a questionable assumption), the fact remains that unilateral actions by the United States cannot be assumed to achieve a global reduction in emissions. This reasoning makes sense if, and only if, the intent is to use the SCC to support the development of a global system of constraining carbon emissions. It does not make sense to use that same global SCC to characterize the benefits of unilateral domestic actions that are unlikely to achieve the stated global benefits. Too often, agencies produce RIAs that estimate only the intended energy savings, without regard to usage elasticities, now commonly called “rebound effects.” Moreover, the world economy is a vast competitive web of elasticities that frustrate any attempt to push a policy lever here to save a ton of carbon there. This is particularly true when the regulatory instruments in question do not have global reach. Carbon intensive production will migrate away from carbon restricting regimes, so that, to a first approximation, unilateral efforts to reduce carbon emissions can be expected to have no net effect on global carbon emissions. It is simply not plausible to claim that any unilateral U.S. action could achieve, in practice, the global benefits that are implied by the SCC as it is calculated in the TSD. International competition will cause the domestic costs of unilateral action to be amplified, even while the global benefits evaporate. The place to use the global SCC is not—at least for now—in the RIAs of U.S. regulatory agencies, but in the international fora where climate policies are being negotiated. There is a second reason to bring the SCC into the international negotiations on climate policy: it is likely to make those conversations more productive. As long as such talks focus on allowable quantities of carbon, they will be a proxy for international economic competition. Each delegation will be charged with ensuring that its nation gets a “fair share” of the fixed pie. Negotiations over price (the SCC) can finesse these arguments, and focus attention instead on the development of cost-effective climate policies. In contrast, negotiations over quantities (caps) necessarily will be consumed by self-interest, rather than on finding the common interest. There will be a consensus (there always is) that the U.S. should do more; but that has little to do with climate; instead, it is a reflection of economic envy, a desire to constrain U.S. growth, and a plea for compensation. Whatever the merits of these arguments, they have been, and will continue to be, a serious impediment to reaching agreement on effective forward-looking action. With international talks focused on the SCC, the rent-seeking opportunities will be much more limited, and a serious discussion can take place on effective remedies. If other countries want to press a claim that the U.S. should pay compensation for past emissions, that can be a separate conversation, and need not hold up progress on figuring out just what common level of stringency all countries should strive for. The absence of an international consensus is problematic for another reason. We know that the vast majority—perhaps all—of the benefits incorporated into the SCC will not accrue to the U.S. It might be possible to justify using the SCC as a guide for domestic regulations if they are being undertaken within an international framework that promises reciprocal action by other countries. Even in that context, it seems likely that the U.S. would be a net loser – bearing more of the costs of effective global action, and receiving less of the benefits. Nonetheless, with proper Congressional authorization, such actions might be justified. If carbon emissions are, as argued in the TSD, a global externality, then it makes sense that there will be winners and losers in a corrective global regulatory regime, and it is not hard to imagine the U.S. being willing to do its part despite not being a net beneficiary of a global regime. In the absence of such reciprocal action by other nations, however, the global benefits in the SCC cannot be regarded as a legitimate entry in the benefit-cost ledger. Basing unilateral domestic action on the global SCC would put U.S. government agencies in the impossible position of acting contrary to the interests of U.S. citizens, using the excuse that they are acting as representative agents of foreign countries. Moreover, since the actual representative agents of those foreign countries have declined to take comparable action to constrain carbon emissions, U.S. agencies would be making the implausible argument that they are better representatives of foreign interests than are the governments of those countries. Domestic regulatory agencies have only those powers which the Congress has delegated to them, and the legitimacy of individual regulatory actions will have to be measured against the applicable authorizing statutes. In creating the Corporate Average Fuel Economy program at DOT, or the Appliance Efficiency Standards at DOE, for example, did Congress intend those agencies to set standards that, on behalf of silent foreign interests, affirmatively harm U.S. consumers and the U.S. economy? If not, then the global SCC cannot be used to justify such standards. Establishing a consistent set of SCC values for use government-wide is sound public policy; it can discourage government agencies from trying to outbid each other in their efforts to save the planet. Moreover, given the influential nature of the SCC value for a variety of future policies, as well as the difficulties and uncertainties of calculating the SCC, it is appropriate that the Administration has sought public comment on the values it plans to use. The Administration should also seek peer review of the figures and work to correct the apparent biases imbedded in the calculations before the SCC can be considered a descriptive measure suitable for positive economic analysis. The most valuable application of the SCC will be in international negotiations. By seeking an international consensus on the value of the SCC (as opposed to caps on allowable emissions levels) and negotiating of a coordinated global policy response, is the only way that the theoretical benefits of government actions to reduce global carbon emissions can be translated into actual results. 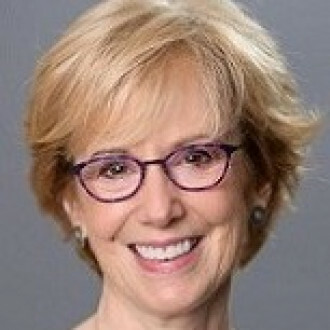 *Susan E. Dudley is director of the GW Regulatory Studies Center and research professor in the Trachtenberg School of Public Policy and Public Administration, and former Administrator of the Office of Information & Regulatory Affairs, Office of Management and Budget. **Brian F. Mannix is a visiting scholar with the Center and former Associate Administrator for Policy, Economics, and Innovation in the Environmental Protection Agency. They can be reached at RegulatoryStudies@gwu.edu. This article represents the views of the authors. 1 See, e.g., Sofie Miller, Crony Environmentalism, Regulation, Spring 2013, available at http://object.cato.org/sites/cato.org/files/serials/files/regulation/2013/3/v36n1-14.pdf#page=1. 2 President Barack Obama, Memorandum for the Heads of Executive Departments and Agencies on Scientific Integrity (Mar. 9, 2009), available at http://www.whitehouse.gov/the-press-office/memorandum-heads-executive-departments-and-agencies-3-9-09. 3 Office of Mgmt. & Budget, Information Quality Bulletin for Peer Review (Oct. 2002). 4 Memorandum From Joshua B. Bolten, Dir., Office of Mgmt. & Budget, to Heads of Dep’ts and Agencies on Issuance of OMB’s Final Information Quality Bulletin for Peer Review (Dec. 16, 2004) [hereinafter Bulletin], available at http://www.whitehouse.gov/sites/default/files/omb/memoranda/fy2005/m05-03.pdf. 5 Pub. L. No. 106-554, § 515(a). 6 OMB also issued Information Quality Guidelines (October 2002), available at http://www.whitehouse.gov/sites/default/files/omb/assets/omb/inforeg/iqg_oct2002.pdf. 7 Presidential/Congressional Commission on Risk Assessment and Risk Management, Risk Commission Report, Volume 2, Risk Assessment and Risk Management in Regulatory Decision-Making, 1997:103. 8 Memorandum from President Barack Obama to Heads of Executive Departments and Agencies on Openness and Transparency (January 21, 2009), available at http://www2.gwu.edu/~nsarchiv/news/20090121/2009_transparency_memo.pdf. 9 Bulletin, supra note 4, at § III(5). 10 Robert Pindyck, Climate Change Policy: What do the Models Tell Us? (National Bureau of Economic Rsearch Working Paper No. 19244, July 2013), available at http://www.nber.org/papers/w19244. 12 Michael Greenstone, Massachusetts Institute of Technology, Estimating the Social Cost of Carbon for the United States Government 32 (Nov. 2010), available at http://yosemite.epa.gov/ee/epa/eerm.nsf/vwAN/EE-0564-106.pdf/$file/EE-0564-106.pdf. 13 Interagency Working Group on Social Cost of Carbon, U.S. Goverment, Technical Support Document: Social Cost of Carbon for Regulatory Impact Analysis Under Executive Order 12899 29 (Feb. 2010), available at http://www.whitehouse.gov/sites/default/files/omb/inforeg/for-agencies/Social-Cost-of-Carbon-for-RIA.pdf. 14 Greenstone, supra note 12, at 35.